At Copenhagen Pride this coming weekend, there will be many participants who might raise a glass to May Simón Lifschitz, the 20-year-old model who just recently became the first transgender woman to be featured on the cover of the Danish fashion magazine Cover. Very few people in the Copenhagen LGBT community knew of Lifschitz before her breakthrough. Although she had always identified as a woman, she had principally worked as an androgyn model – a tough assignment at the best of times. “It was very hard to be pushed to take on androgynous, masculine jobs in modeling,” she said. It was whilst she was shooting a fashion campaign for Barneys New York last year, to draw attention to transgender people, that she realised change was necessary. Working in the presence of 16 other transgender models made her realise she needed a complete transformation. Through her own admission she has not been particularly active on the local LGBT scene in the past, but her success this year has seen her become one of its most prominent members. 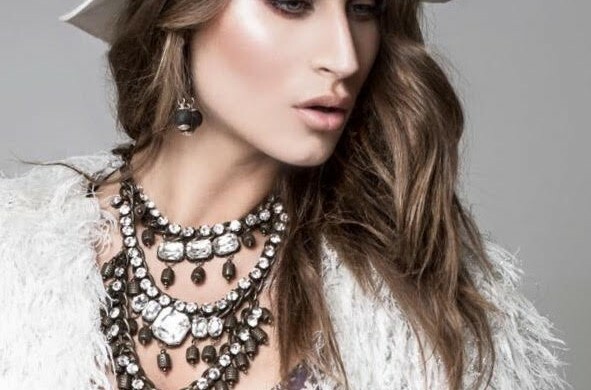 You were recently featured on the cover of the Danish fashion magazine Cover as its first transgender model. How do you feel about being the first? I think it’s about goddamn time and I’m happy to be offered the opportunity, but at the same time I’m very scared that I can’t live up to the responsibility that the community might give me, since I haven’t really been politically active or a big part of discovering the struggles that other transgender people live with. Do you mind being referred to as transgender or would you prefer to be identified as female? It’s not really something I think about that much in my daily life. But actually, I never refer to myself as transgender. So, I just identify as female. The fashion industry seems rather open when it comes to homosexuality and has always been among the first to support the rights of the LGBT community. Has it also been your experience? Yes and no. I feel like the industry has enormous power and has created a lot of positive attention, but at the same time it’s always a beautified version of diversity they show, which is not always a real one. Last year, the American chain of luxury department stores, Barneys New York, unveiled its groundbreaking spring campaign ‘Brothers, Sisters, Sons & Daughters’ featuring 17 transgender models, including you. Are transgender models now more in? I was very happy to be a part of that campaign. I got to meet amazing individuals and bring pop-cultural attention to the cause, which I think is the easiest way to approach people and achieve understanding from people nowadays. Do you have any transgender idols among other models or celebrities? I think that Caroline ‘Tula’ Cossey was amazingly beautiful. She stayed natural and true to herself, which is what I personally go for too. You started working as a model when you were 16 years old – when did you first realise you felt more like a woman in a male body? How did you deal with what must have been challenging times? Somehow I’ve always known. However, I only really came to the conclusion – that it was a complete transition I had to undergo to be able to carry on with life – when I stood in New York shooting ‘Brothers, sisters, sons and daughters’, where I met my community. At the beginning, it was very hard to be pushed to take on androgynous, masculine jobs in modelling. Was there anyone to support you when you were going through your transition? My family and my friends. But I kept to myself at the beginning and cut off a lot of people to give myself space and to figure out how everything had to go down. What were the initial reactions of your family and peers when you said you wished to change your gender? They were supportive but had a lot of questions, which I didn’t want to answer all at once. Again, that’s why I asked them to give me some time and space and told them not to ask me anything. For those who don’t know what it takes to change one’s gender, could you share with us what this process actually involves? It involves discovering the nature of your mind and finding out which pole this mind represents in a human body. Then it takes a hell of a lot of hormones and lifestyle changes. This year, the National Institute of Public Health published a study revealing that bisexuals and homosexuals in Denmark attempt to commit suicide three times more often than heterosexuals, and that more lesbian or bisexual women have experienced sexual violence than heterosexual women. Has this also been your experience? I haven’t experienced this first-hand, but I have seen a lot of people struggle. We definitely need to show more support as a society to help out these individuals. In comparison to other countries, Denmark is fairly progressive when it comes to LGBT rights – have you ever encountered any discrimination because you’re transgender? Not myself, thankfully. I don’t get clocked too much in my daily life, but I’ve had friends experiencing it. It can only get better. If there was one thing you could recommend to someone who is considering changing his or her gender, what would it be? Just listen to yourself and really find out what will make you happy. Don’t just go by the transition that you see other people are going through. Meditation would probably be really healthy. Well, for anyone, actually. What are your personal wishes for the near future? I’d like to keep inspiring other people, normalise my situation and help people understand it more. And just be happy like anyone else.